I recently finished an excellent book by Shawn Peters: The Catonsville Nine: A Story of Faith and Resistance in the Vietnam Era. This is the first full historical treatment of the Catonsville Nine. And though Peters's book is a careful academic history (the book is published by Oxford University Press) the book moves along at a nice readable clip. The Catonsville Nine protest was one of the more iconic anti-war protests--because two Catholic priests were involved, the brothers Daniel and Philip Berrigan--against the war in Vietnam. Beyond the Berrigan brothers the Nine included David Darst, John Hogan, Tom Lewis, Marjorie Melville, Thomas Melville (the Melville's were married), George Mische, and Mary Moylan. All were Catholics. On May 17, 1968 the Nine entered the building of the draft board in Catonsville, Maryland, removed the A-1 draft files (along with some others), took them outside and set them on fire with homemade napalm. At the time of the Catonsville action Philip Berrigan and Tom Lewis had already been convicted for their actions as a part of the The Baltimore Four protest where they had entered a Selective Service facility and poured blood over draft files. The drama of the Nine was heightened by the very public chase of Daniel Berrigan. Refusing to turn himself in the Catholic priest went underground, often appearing at public anti-war events only to disappear before the FBI could nab him. Fr. Berrigan was eventually captured by the FBI after a few months on the run at William Stringfellow's house. Mary Moylan of the Nine stayed underground and at large for nine years. Defending the actions of the Nine to reporters on the scene David Darst said, "I wanted to make it more difficult for men to kill each other." One of the lingering theological debates about the Catonsville Nine was if their actions were truly in keeping with the principles of Christian nonviolence and pacifism. First, they destroyed property. Second, they also had to manhandle head clerk Mary Murphy, holding her back when she tried stop the Nine from removing files. These aspects of the action gave some Catholic pacifists--most notably Thomas Merton and Dorothy Day--some heartburn. However, both Day and Merton lauded the motivations of the Nine if not their tactics. 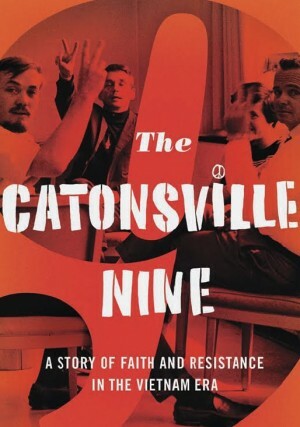 For anyone interested in this era of American history, Christian activism, or the Catholic Left The Catonsville Nine is a very good book. Sounds like a good read. I'll have to check it out. Seems pretty problematic, and convenient for some, to exempt property destruction or sabotage from definitions of pacifism/nonviolence. It would exclude Denmark's partially successful resistance to the Nazis when workers blew up their railroads to prevent shipping of German supplies and troops.